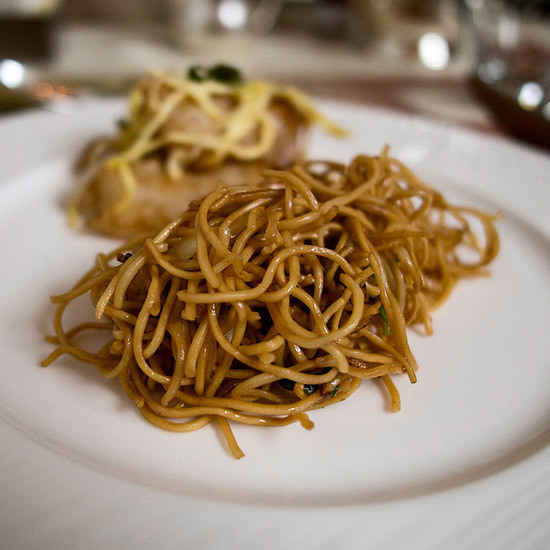 F&W chef-in-residence Andrew Zimmern shares his favorite noodle dishes from around the world, including Korean stir-fry with sweet potato noodles and delicious hand-turned ramen. 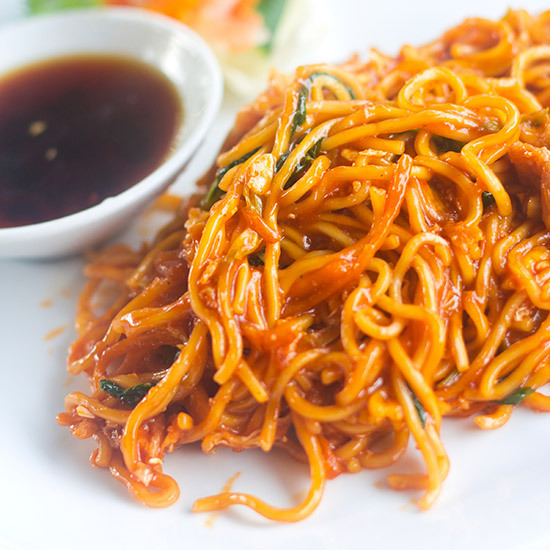 A classic Korean noodle dish made from sweet potato noodles (dangmyeon), which are stir-fried with vegetables, sesame seeds and sometimes beef. 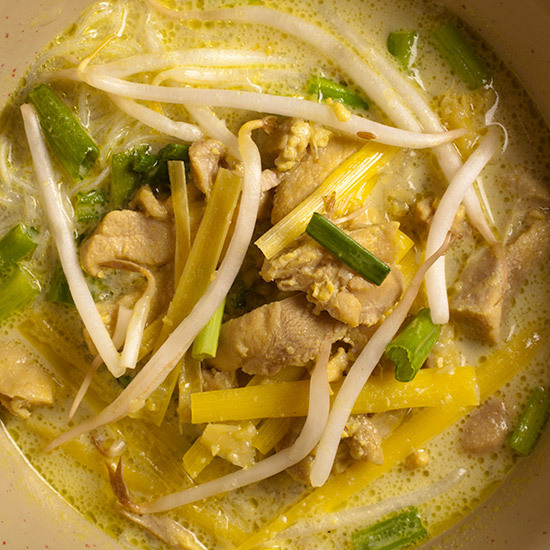 Indonesian spicy chicken soup with vermicelli noodle and turmeric. 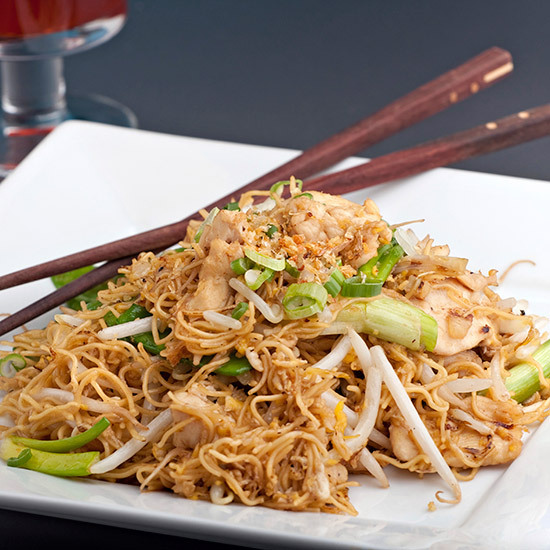 Classic Hong Kong-style with crispy noodles and a sturdy vegetable or chicken “sauce” poured over the top. Comfort food. 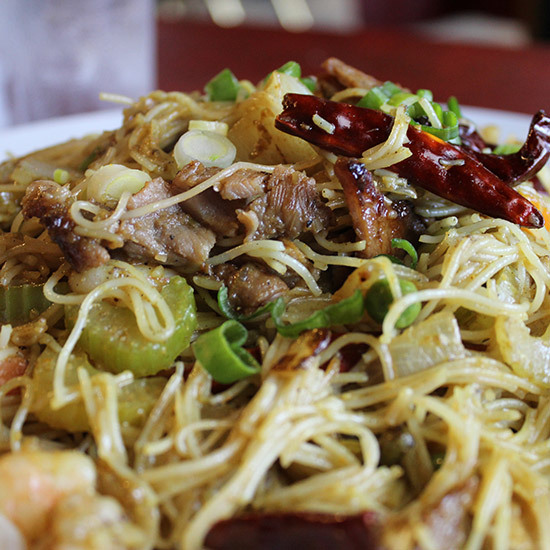 Like chow mein, but not fried. These are quickly boiled and then stir-fried with anything you care to toss in the wok. 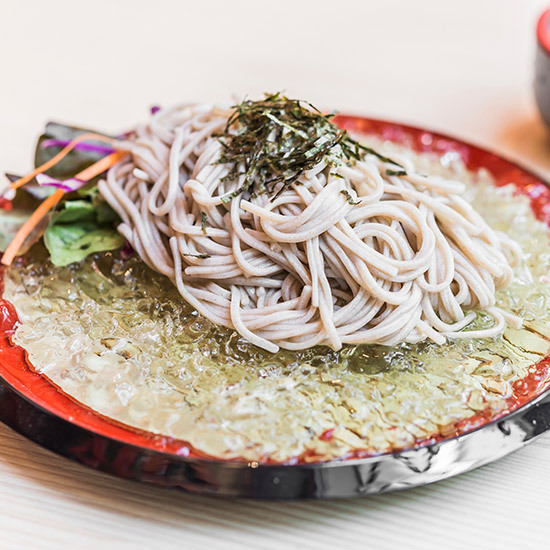 Cold buckwheat soba noodles with tsuyu dipping sauce on the side. It’s my idea of perfect summer food. Hot stir-fry of buckwheat soba, best found on the streets, cooked on large griddles…My favorite is with chicken and thinly sliced cabbage. 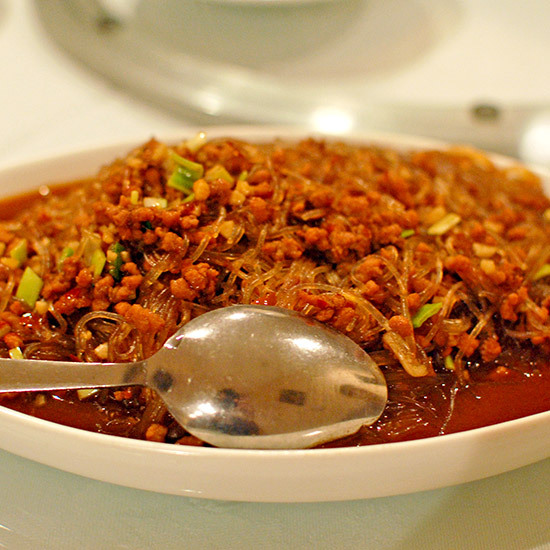 This is a classic Szechuan dish of stir-fried ground meat served over glass noodles with a vinegar, soy sauce and chile-spiked sauce. 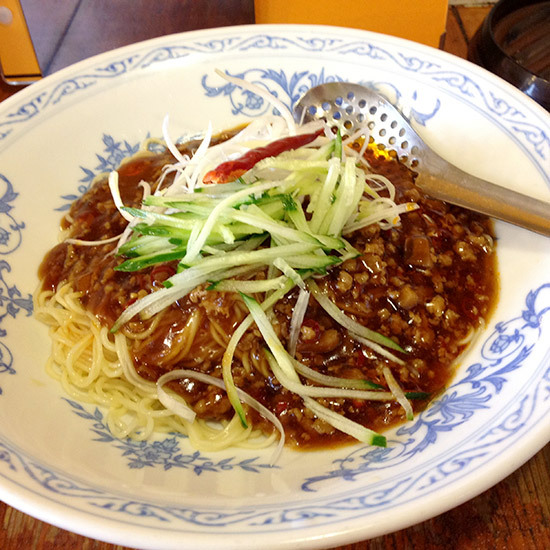 Stir-fried pork and fermented bean paste sauce over thick wheat noodles. 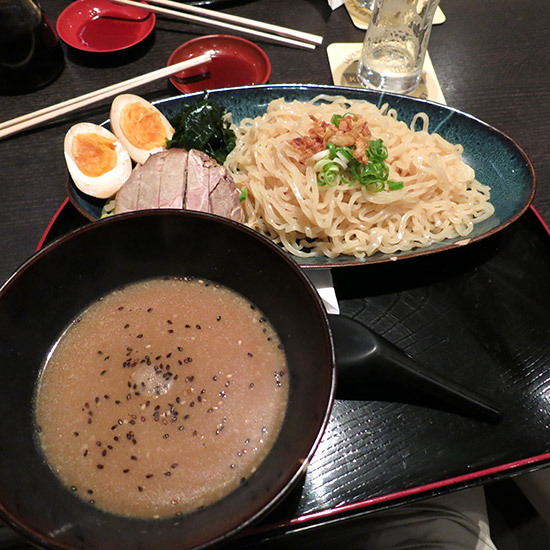 Hand-turned ramen dipped into a separate bowl of sauce or soup, hot or cold. 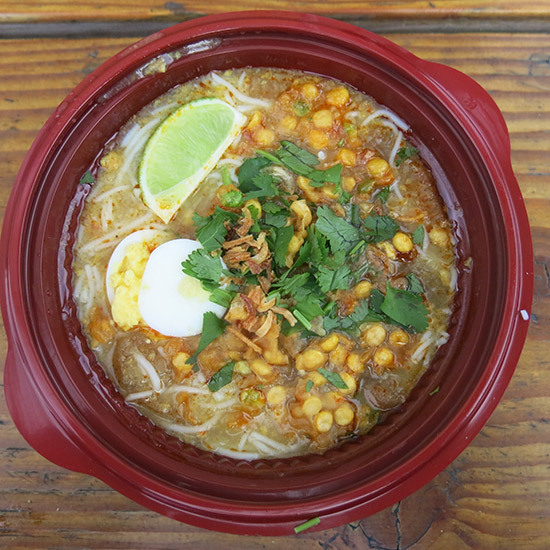 A Peranakan (Malay and Chinese) coconut curry soup with thick rice noodles, ground dried prawns, chile sambal, cilantro and lime. 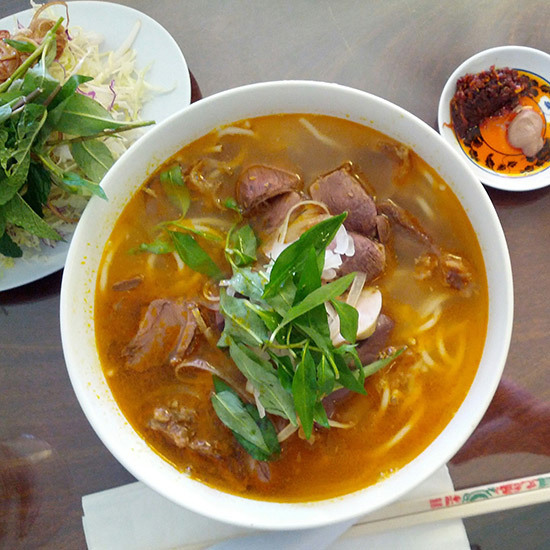 Vietnamese medium-thick rice vermicelli and beef soup with plenty of lemongrass and chile, named after the central Vietnamese city of Huế. 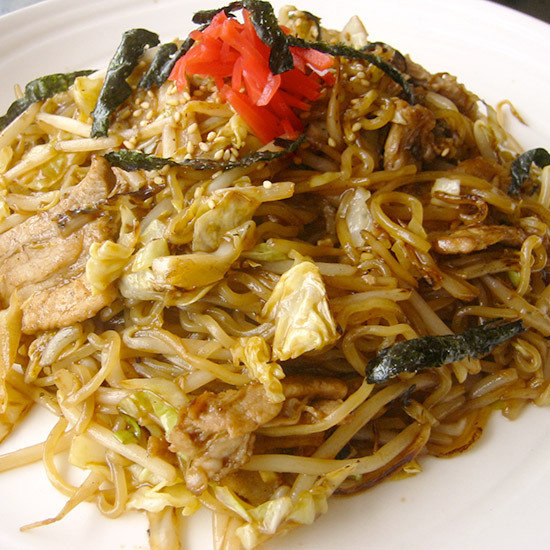 Typical Cantonese-style quick wok toss of thin egg noodles, bean sprouts and soy. An Indonesian classic. Thin egg noodles stir-fried with vegetables, chiles, egg, tomatoes, meatballs or any other proteins and best eaten in small mamak stalls all over South Asia. Pinoy-style “ramen” at its finest, loaded with pig offal, beef, sometimes shrimp and topped with crispy pig skin. 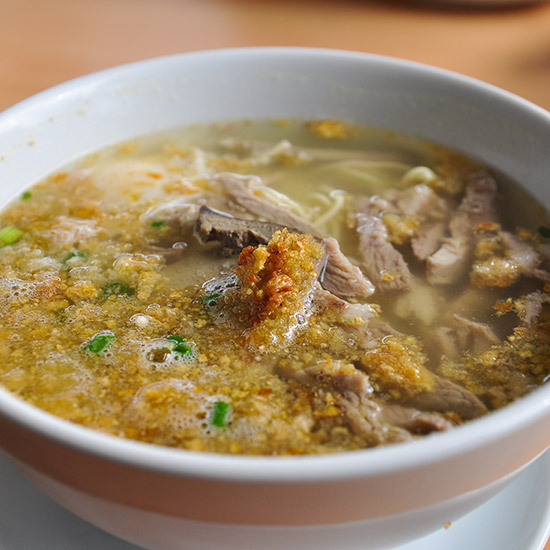 The soup was first created in the late 1930s in the La Paz market in Iloilo City in the Philippines. Cambodian beef noodle soup with garlic, greens and peppers. 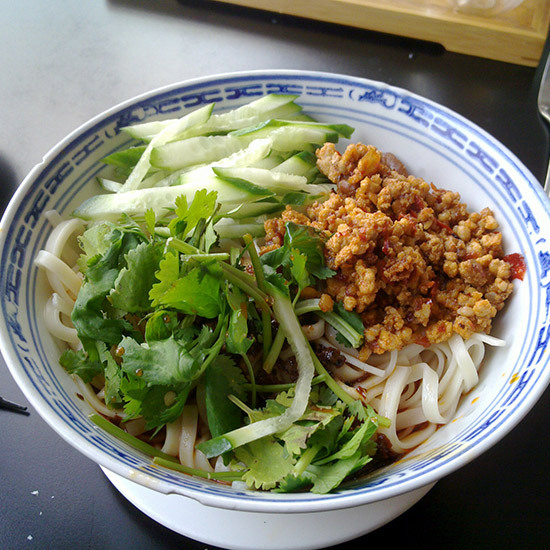 Also called Dan Dan Mian, this is a traditional hot noodle dish with ground pork, red chile oil, scallions, Szechaun peppercorns and mustard stems. Stir-fried rice vermicelli with dry curry, often mistaken for a Malay classic and ironically most (more?) popular all over the rest of the world. 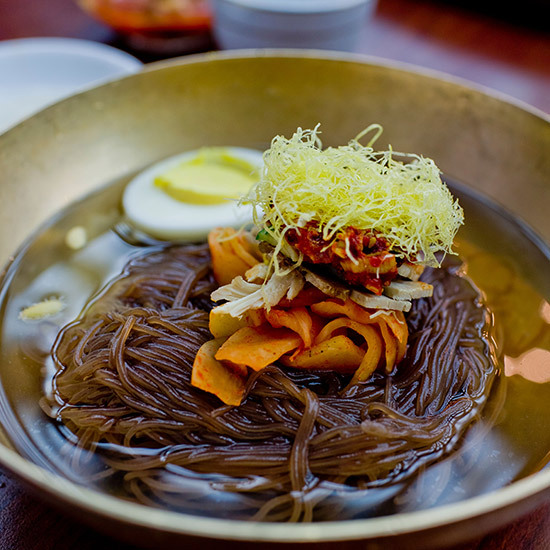 Chile, vinegar and icy beef broth with sweet potato, arrowroot or buckwheat noodles define this Korean classic. 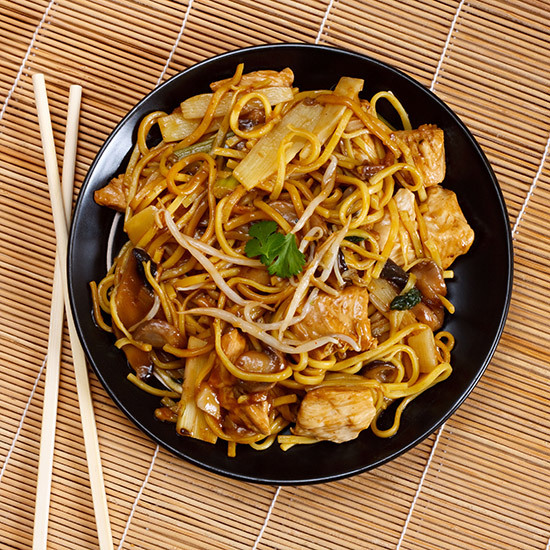 The sticky, chewy noodles are typically cut in each person’s bowl. 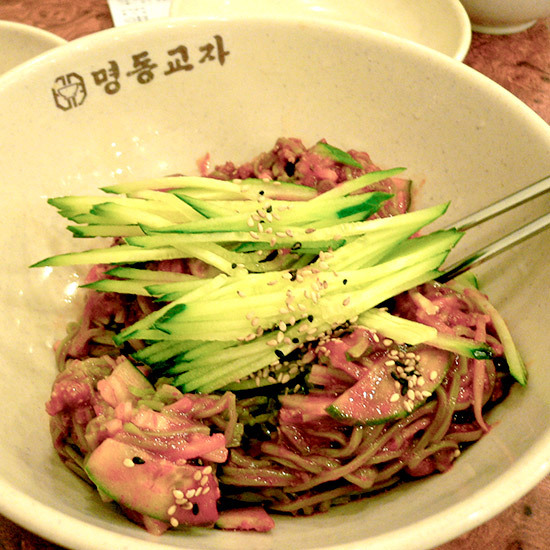 Gochujang-infused versions are very common. 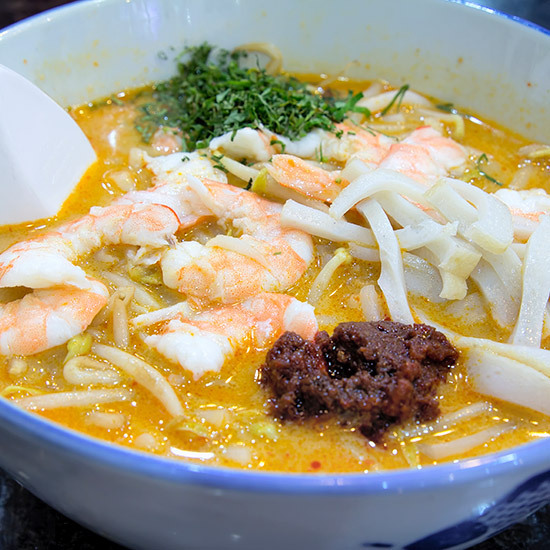 Myanmar’s national dish is this fish and rice noodle soup that’s consumed all day from hawkers but most popular in the mornings. 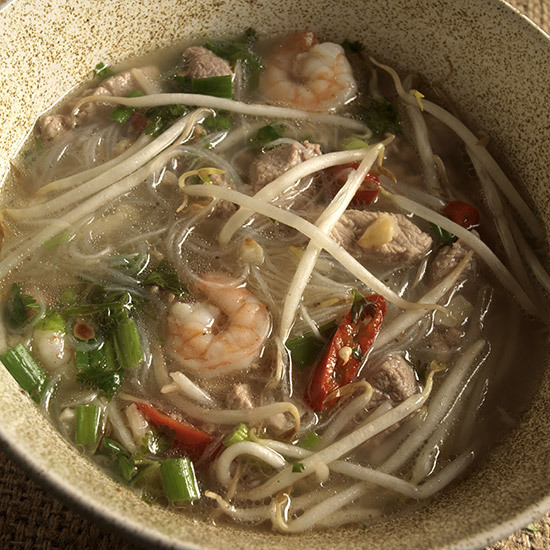 Lao-style, it’s a soup with a large, fat rice noodle. 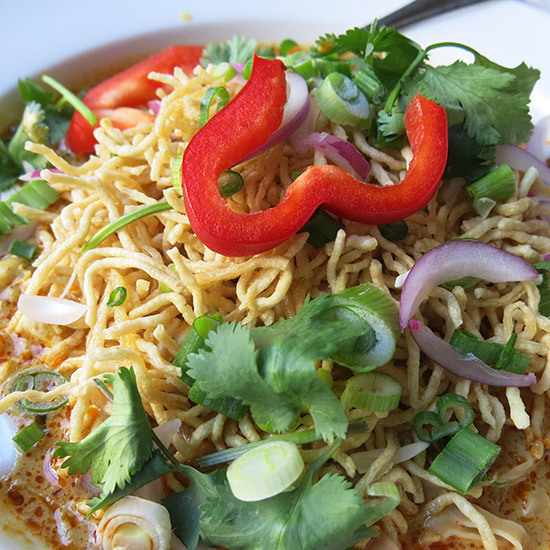 Northern Thai-style is a curried, Burmese-influenced bowl of boiled noodles in a coconut milk curry loaded with pickled cabbage, fried chilies and lime and topped with deep-fried crispy egg noodles. 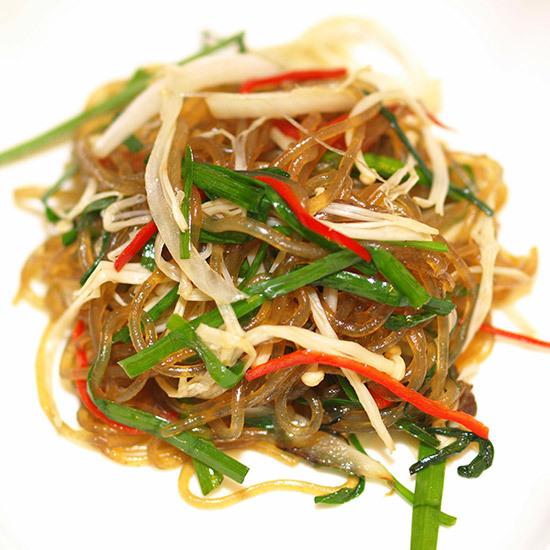 Cold Korean gochujang-spiked thin wheat flour noodles, typically sauced with vinegar, sugar and sesame oil.